"Pa, the final prize list is out for this year,” said Josh, “and … I didn't get anything." "I know you'll be hurt when you see other kids get recognized and I don't get anything. So please don't come to my school prize giving ceremony this year." Rosh was shocked to hear this. When father and son sat silently for a long time, Isha came up to Rosh and quietly pressed his hand. He looked up at her, and saw his pain reflect in her eyes. “No,” he said finally, “As their father, I must share in whatever my sons get – whether it be glory or shame." “It was not my effort, yet I lived that glory vicariously as a parent. Now it’s payback time for those vicarious pleasures." "Look around you child", God said, "Do you see the fern and the bamboo?" 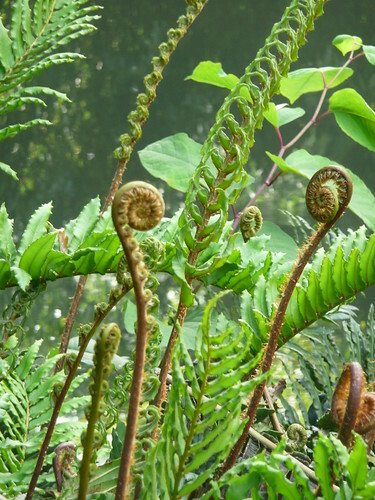 “In the second year the Fern grew more vibrant and plentiful. And again, nothing came from the bamboo seed. But I did not quit on the bamboo," he said. “It had spent all these years growing roots. Those roots made it strong and gave it what it needed to power ahead in life. I would not give any of my creations a challenge they could not handle." "Did you know my child,” God said to him, “that all this time you have been struggling; you have actually been growing roots? I would not quit on the bamboo. I will never quit on you." 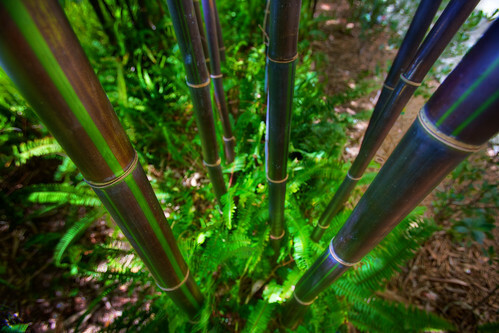 "Don't compare yourself to others," God said, "The bamboo and the fern are different. Their tracks are different, their purposes are different. Yet the forest needs them both, and they both make the forest beautiful and bountiful." "Your time will come", God said to him, "You will rise high." "How high would I rise?" he asked. "How high did the bamboo rise?" God asked in return. "As high as it could," he offered. "Yes," said God, "Give me glory by rising as high as you can." "How could I do that?" he asked. "How did the bamboo do that?" God asked in return. "By growing roots," he offered. “I hope I can be like my father. Never failing you. Never abandoning you. Never giving up on you. God will never give up on me. He will never give up on you."